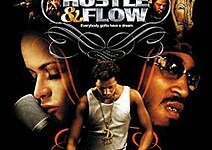 "Hustle & Flow" is the redemptive story of a streetwise Memphis hustler trying to find his voice and realize his long-buried dreams. Though DJay (Terrence Howard) has always had a way with words, that gift has long been misused; this philosopher-hustler lives a dead-end life at the fringes of society. Anything more feels out of reach. Still, DJay wonders what happened to all the big dreams he had for his life. A chance encounter with an old friend, Key (Anthony Anderson), a sound engineer who has always wanted to make it in the music business, spurs DJay: if he's ever going to make his mark, it has to happen now. He begins to write down his freestyle raps - his flow - and the two team up with Shelby (DJ Qualls), a church musician with a beat machine, to lay down bass-thumping crunk tracks. DJay's metamorphosis affects his entire house, as the women in his life - Shug (Taraji P. Henson) and Nola (Taryn Manning) - find ways to contribute to the creative process. With the impending visit to Memphis of hometown platinum-selling rapper Skinny Black (Ludacris), DJay has to make one last hustle if he's ever going to flow. 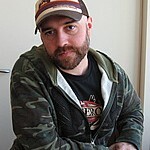 Exclusive: CS Talks to Chris Bridges? 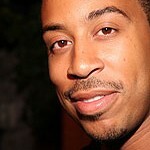 That’s Ludacris! !